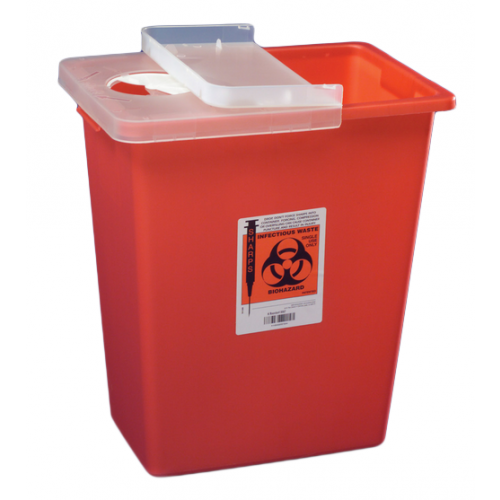 Covidien 8991 18 Gallon Red SharpSafety Container is a large-volume sharps container with a hinged lid and large opening in order to dispose needles properly. The lids are able to provide a temporary closure when not in use, reducing the danger of possible exposure to bacteria or disease. Once completely full the container can be completely locked in order to dispose of the entire unit safely. The entire base is red in color for better visibility and has a clear top for a clear view of how full the container is. 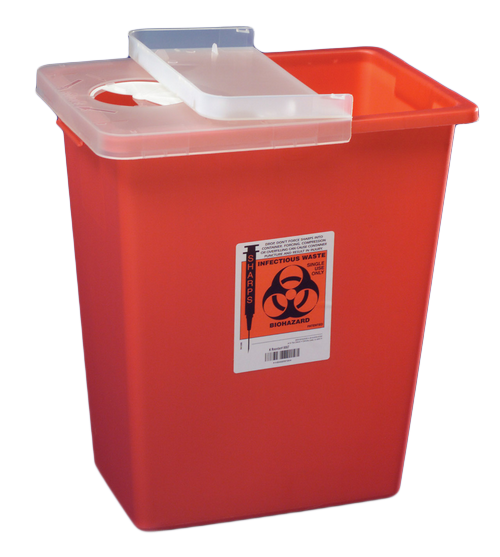 At 26 inches in height the container is able to hold plenty of waste medical materials before needing to be discarded. Hard plastic material surrounds the entire base, assuring patients they won't be accidentally punctured by any syringe or needle.